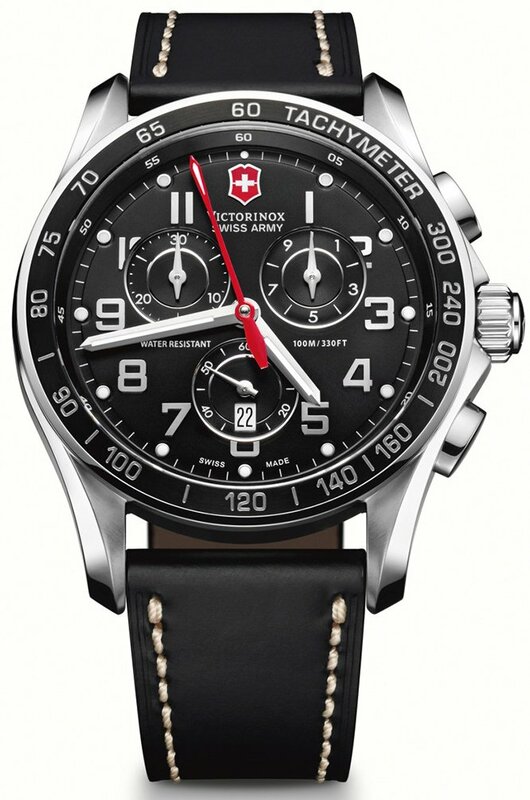 Victorinox mens watch. Silver stainless-steel case and black calfskin strap. Black dial. Quartz movement. Buckle closure. Water resistance of 100 meters.